Vitamins & MineralsXXL Nutrition Vitamin D-3 1000 IU - 250 tabl. 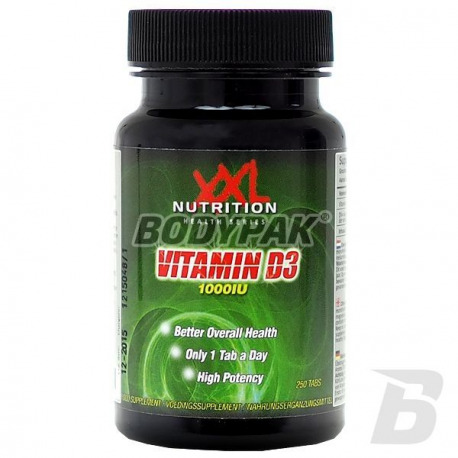 XXL Nutrition Vitamin D-3 1000 IU - 250 tabl. Vitamin D3 is naturally produced by the body when it is exposed to direct sunlight. The high quality of vitamin D3 in the tablets. The feature that distinguishes this formulation is a high concentration of active substance which ensures ease delivery of the appropriate amount. If you are looking for this type of preparation - you have just found the perfect proposal. Vitamin D3 is naturally produced by the body when it is exposed to direct sunlight. However, exposure to UV rays and synthesis of vitamin D3 depend on many factors (season, age, skin color). Inne składniki: wypełniacze (jednowodna laktoza, jednowodna dekstroza), substancje glazurujące (uwodorniony olej kokosowy, stearynian magnezu), aromat (tutti-frutti). Świetne witaminy które w bardzo niskiej cenie starczą naprawdę na bardzo długi czas ! POLECAM ! Preparation vitamin-mineral addressed to real men! The formula was developed based on the specific needs of the male body. Convenient form of tablets easier supplementation! 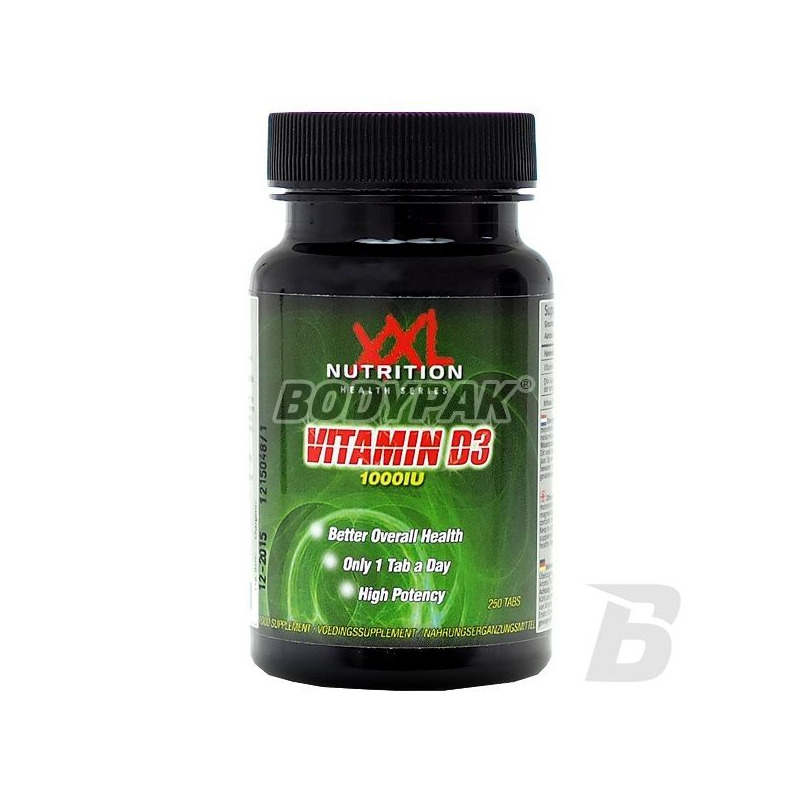 Contains natural plant extracts to support the vitality!